So much of your life starts at your front door. At LARSON we take pride in building products that will be there for all of life’s moments. From your front door, to your back porch, and every room in between, we have the products to make your home even better! Win a $1,000 home makeover to enhance your home’s curb appeal, increase your home’s energy efficiency, or transform your home’s outdoor spaces. 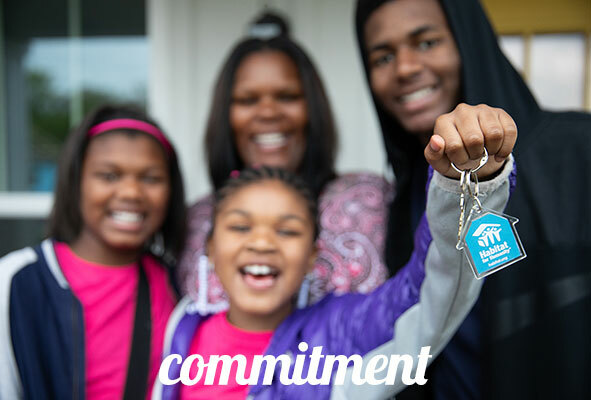 In addition to making your home better, you’ll be making your community better! 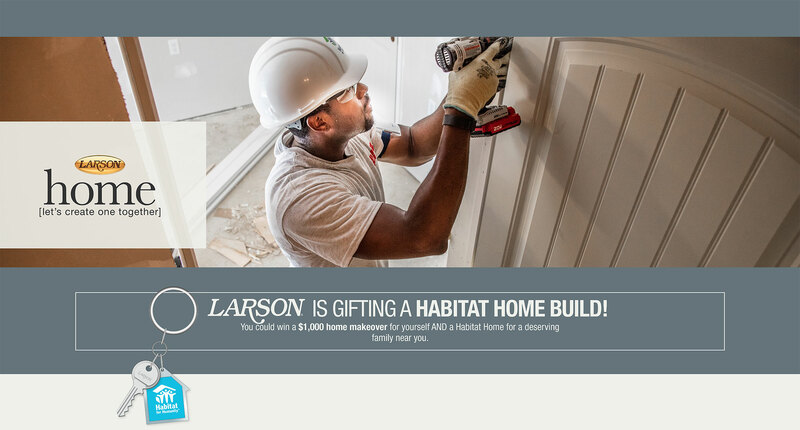 LARSON is gifting a Habitat for Humanity build in the community of the winner’s choice. Home ownership plays a critical role in strong and stable communities. We all know the feeling of walking in our front door and feeling a sense of safety and security – a feeling we call “home". Let’s create one together. 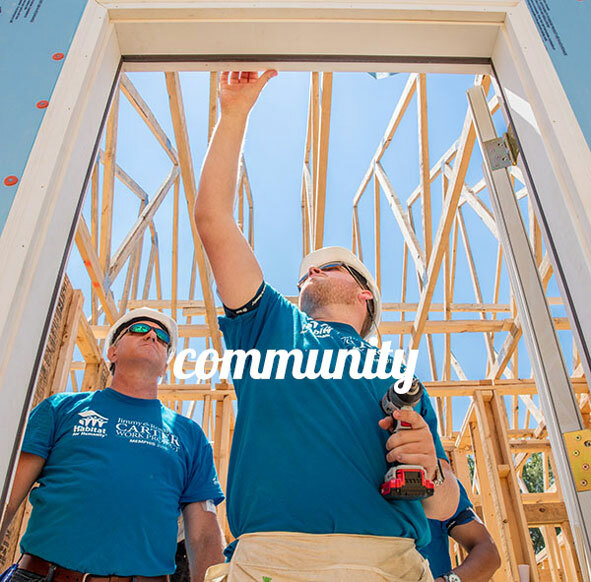 Habitat for Humanity and LARSON have been partners for decades. Learn about our partnership. 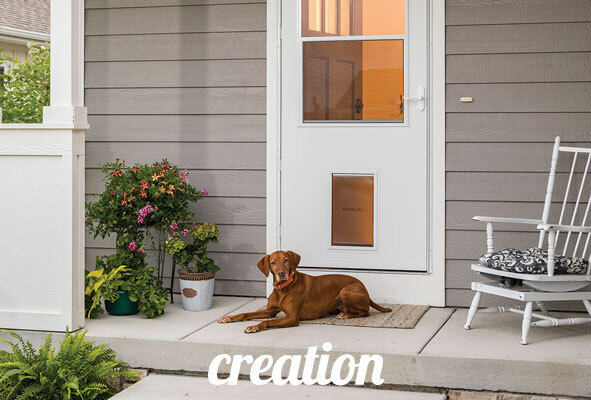 LARSON Manufacturing is recognized for making homes better with a market-leading selection of storm doors, high-efficiency interior and storm windows, porch windows and other door and window innovations. 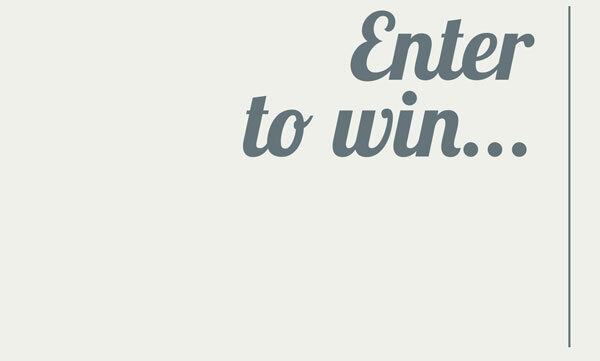 NO PURCHASE OR PAYMENT OF ANY KIND NECESSARY TO ENTER OR WIN. PURCHASE WILL NOT INCREASE YOUR CHANCE OF WINNING. Open to legal residents of 50 US/DC, 18+ (19+ for AL & NE). Void where prohibited. Ends 6/11/19, 11:59:59 p.m. CDT. Message & data rates may apply. Click here for Official Rules. Sponsor: Larson Manufacturing Company, Inc., 2333 Eastbrook Drive, Brookings, SD 57006.